Are you planning a safari to Uganda? If you are, then this guide is for you. 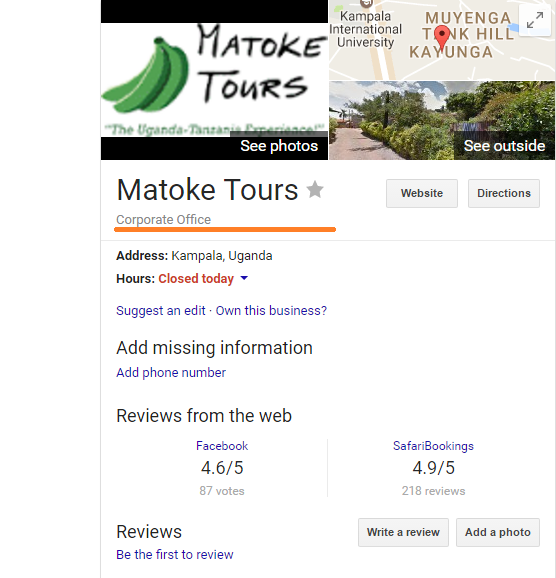 So many tourists spend a lot of time researching for information about how they can best organize a safari in Uganda and a portion of them land on out dated information. I thought i could fix this gap by coming up with this step by step guide for booking a memorable safari in Uganda and probably stay committed to updating it more often so that the article / guide stays up to date always. If you really mind about financial security or rather an exceptional experience then you have to take time and do your research especially about the Uganda safari companies you are dealing with. If you are the kind that researches thoroughly before making a deposit for your safari then this guide is here to simplify the process for you. I list out the most vital and effective steps you can follow to book your Uganda safaris. That keyword can variate depending on how you key it in. It doesn’t have to be the exact match as above but the most important thing is including your keywords in the search term. 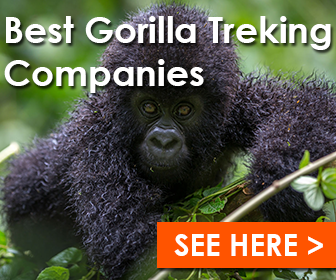 Some of the most popular keywords are Uganda safaris, Uganda gorilla tours, Uganda gorilla trekking and the likes. After keying in your keyword, make sure you choose out the first 10 results you see on your search engine and view all their packages. Only single out results of real local safari operators and not international booking platforms because it will help you get more descriptive answers for questions you may need to ask then of course keep you away from booking with an agent who will in-turn contact a travel operator they partnered with to organize your safari. Also try to check the websites and confirm if they are genuine because anyone can put up a tour and travel website on the internet even without incorporation. Some of the ways to this is checking for the company address on the website and comparing it with the one on Google maps (endeavor to deal with operators whose businesses are verified on Google). The screenshot below shows the Google knowledge graph information of one of the verified operators. This will help you choose out 10 genuine safari operators you can inquire from about the planned safari you intend to carry out in Uganda. When you are certain that you have chosen only genuine operators then feel free to send inquiries to all of them about the proposed safari. Most of these companies already have safari booking forms installed on their websites hence, should always endeavor to search for it. What if you encounter forms that gather little information? This could prolong the process since the operator might have a lot to ask from you which is definitely not what you may expect. I have installed several booking forms on various websites and to my experience, clients who provide essential details at once usually confirm their trips faster. 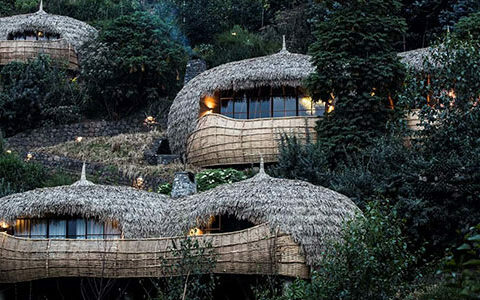 Such details i believe to be essential are: Name, email, nationality, number of people, number of days, destination (Uganda or Combined), budget ($0 – Onwards estimate), type of accommodation (budget, mid-range & luxury) and activities. Providing all these details on your inquiry will help you get more descriptive itineraries and offers but if there are any extras you want, feel free to include it too. You have to be very strict about the kind of package you choose else you will end up spending more hours travelling than doing actual safari activities. This is so true and besides, not every tour consultant out there has the capacity to draft for you a nice package. I personally has seen so many itineraries with more driving hours yet the main essential part of your safari is carrying out activities. An example of such an itinerary can be a 10 days safari that has 6 days of travelling and 4 days of activities! Never fall for such itineraries unless it’s you who personally chose the destinations. Another example can be a safari that lists Bwindi Forest National Park before Murchison Falls National Park yet it would have been easier to first access Murchison Falls NP then proceed to Bwindi or rather Lake Bunyonyi before Bwindi yet it is better to first trek gorillas in Bwindi then head to Bunyonyi to relax. These are the small things you should always consider else you will spend more days travelling than carrying out activities. About prices, i know it’s kind of hard to tell the actual estimate but you obviously get the range after sending out your inquiries. Lets say 8 operators fall between $2000 – $3000 then the remaining two send you quotes that are less than $1000 or more than $3000 then you should question such operators. Go with the price range than most operators fall in implicating operators who are way low or high should be crossed out of your list. You made a search, chose out ten genuine operators, sent inquiries to all of them the compared their packages plus prices, so what next? Each of these packages have accommodation facilities but not all of them will meet the standard you want. You have to look through each of the safari packages, individually search for photos of each accommodation facility on Tripadvisor and read reviews too. Some accommodation facilities have outstanding reviews and are definitely worth it and besides, the competition in the tourism industry has made operators initiate partnerships with accommodation companies to offer their services at discounted rates. 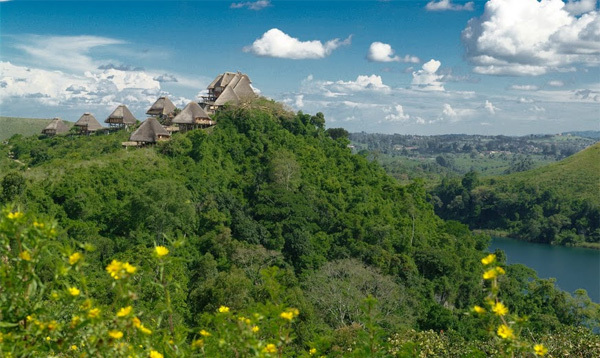 Paraa safari lodge is a luxury / high-end facility but a good itinerary will include them in a mid-range package at a discounted rate. In fact, to my own experience clients usually confirm at this stage. If a client likes a package they will go ahead and choose it then remain in contact with a single tour operator until their safari is confirmed. Also endeavor to look through the activities included. You are in Uganda for a safari hence, you have to enjoy the most of it! Even the slightest activities can still be outstanding. According to your package, what are you doing on your days of rest? a simple nature / community walk or boat cruise can definitely keep the spark going. At this stage you should have narrowed down to at least 4 operators. You have to befriend TripAdvisor and Safari Bookings to further narrow down your list. Check for company reviews on such platforms and cross out the companies that have too much of bad reviews. I know it’s hard to maintain only excellent reviews but the percentage should be at least reasonable and understandable. Bad reviews related to finances should be a waking call for you and an obvious reason for you to cross out respective operators. If you are certain that the companies you are dealing with have not so bad reviews then you can go ahead and proceed to step 7. Shockingly, less than 200 tour companies are registered with AUTO (Association of Uganda Tour Operators) of all the total 500 plus that operate tour and travel services in Uganda. One of the easiest ways of ensuring your financial security when making a deposit for your safari is by dealing with members of AUTO. However, i am not saying you shouldn’t deal with operators who are not affiliated to AUTO in any way though it’s always recommended to only book safaris with members of the association. AUTO has several rules & guidelines that has to be followed else membership is lost which implicates operators who engage in any dubious activities lose their respective memberships on spot. So what does this mean? The members of the association are trust worthy and will deliver the services you paid for. At this stage, all the tour operators on your list should be registered with AUTO unless you trust the non-registered member. If you still reach here with a list of operators then there are several more factors that can help you shorten your list. Like i said previously, most clients usually confirm their trips after step 5 but some scenarios might force you to go on up to step 9. Now, we are going to compare the prices again and probably look at which consultant has been more helpful to you. Of all the operators on your list, which had the most responsive and helpful consultant? It’s not easy to put a package out there to a promising client after inquiry but several consultants do it and stay hopeful that the client may book the safari with them. I have seen scenarios where clients book their safaris with other companies and feel bad at the same time because they have let down a consultant who has helped them so much through out the whole decision making process. That’s the kind of relationship i expect at this stage! You should be so free, friendly and confident that if you asked your consultant a question, you would be certain of a prompt and informative reply. You should already be friends with your consultant at this point. if any of the consultants is not friendly and just business oriented, then rather give the business to someone who understands what the true meaning of customer care. if a consultant has a slightly higher price but has been the most helpful then try considering them. Think of the difference in terms of time! They probably gave you more time or rather took more time to research and provide you with excellent information. If they have all been helpful and free with you then you can confirm your trip with the cheapest. This step is pretty much simple. You are not going to book your safari with two or more operators but rather one. At this stage you have to make up your mind and make sure you have only one operator on your list that you are going to send payments to. One advise i can also give you is, never complicate the whole process! I once encountered a client who spent close to a month trying trying to figure out a consultant she can finalize with which was quite long. She was definitely indecisive! However, if you followed all the steps above then i guarantee that you will reach step 8 with only good safari companies. Step 8 should find you confident enough to make a deposit and secure your trip without any further questions. What if step 9 finds you with two or three operators on your list? Simple! JUST MAKE UP YOUR MIND!!!!!!!!!!!!!!!! This is the final step of booking a memorable safari in Uganda. Tour operators usually require a certain percentage of deposit that may range from 30% – 70% depending on the tour operator. Some may ask you to pay for the full amount which is quite unusual / uncommon. This deposit is usually required for purchasing permits and booking accommodation with the rest being paid either a few months to arrival or on arrival. Make sure you make direct deposits to company bank accounts and not personal accounts. Other supported payment methods also include Pesapal and Paypal though it’s rare to find an operator that accepts payments via Paypal because Uganda isn’t yet liable to receive Paypal funds. If you opt to wire the money straight to the company’s bank account then your money should reach in the next 4 – 5 working days. Make sure you send a confirmation receipt of your transfer because banks require it to validate payments before they can be withdrawn. So what next? 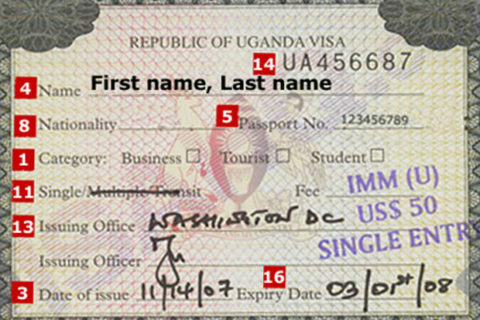 Book a flight to Uganda by purchasing your air tickets in advance and wait for your date of travel. What you should know is booking a safari to Uganda is not hard only if you follow the simple steps above. The article might be descriptive or might even get more descriptive but i wanted to layout something informative and if you realize, every point i explained above has another or even two to accompany it. 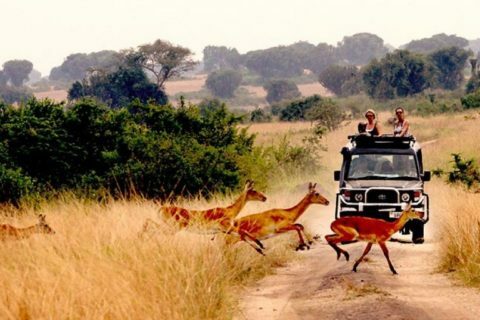 I want to simplify the whole process of booking a safari with a reputable safari company for you so that you don’t find any hardships in the entire process. If you follow the guide above, you will end up with companies that are credible, experience, trust worthy, fully registered, member of travel associations and above all members who will guarantee you financial security. I previously laid out a list of Uganda tour and travel companies that you might want to check out.